Orange & Peach for Family! 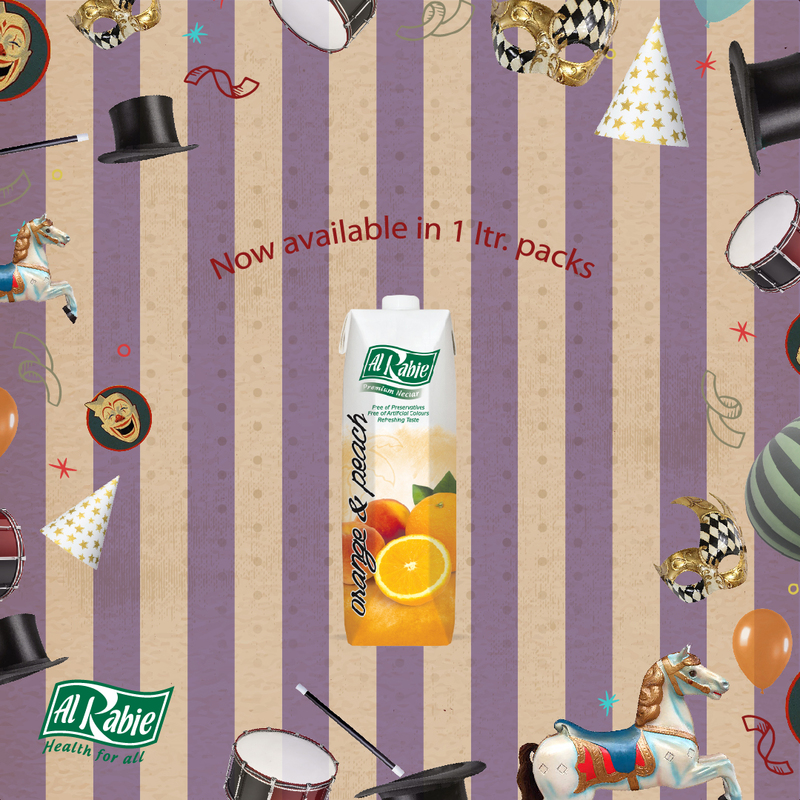 Al Rabie Saudi Foods Co. has recently launched two new great-tasting products to its line of juices & nectars: Tomato Juice and Orange & Peach in 1 Litre pack size. The excellent quality and amazing taste of the Tomato juice was behind the introduction, whereas the success of the Orange & Peach in 330 ml Prisma was the reason Al Rabie chose to introduce it in 1 Litre packs. Therefore, Al Rabie Saudi Foods Co. keeps showing its appreciation to its consumers and commitment to them by providing an array of the best quality products.